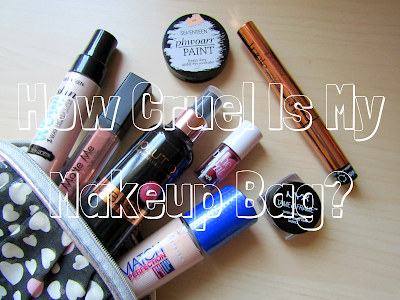 Totally Ró: How Cruel Is My Makeup Bag? Recently I have watched a lot of 'How Cruel Is My Makeup Bag' videos and I thought I would do a blog post about it as I have been trying to go cruelty-free for the past year but I know there are a few things in my collection that aren't cruelty-free and I don't want to make the mistake of buying them. 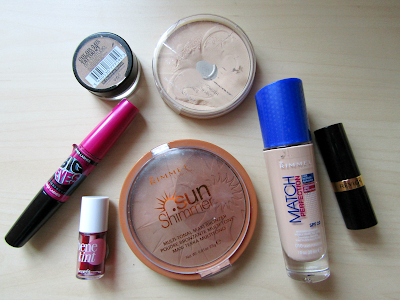 I am just going to do my makeup I wear daily as this post would be way to long otherwise. So what you have to do is use the blog Logical Harmony, I will also be using Cruelty Free Kitty, to see if the brands are on the cruelty-free list. If they are not on the cruelty-free list, they will get a black dot on the bottom of the product. I would put it somewhere more noticeable but I still want to take pictures with them. Makeup Revolution hasn't been put into either Cruelty Free List or Brands To Avoid. It is in a Grey Area as Logical Harmony has received an unclear response on their testing policy. I hope they don't test on animals as I have heard so much wonderful things about their products and if they test on animals that means Freedom and I Heart Makeup do as they are all owned by the same company. Seventeen is in the Pending List as LH are waiting for a response from the company. I don't really know how to feel about this as there's no clear answer yet. I don't think I would be too annoyed if they were testing on animals as I like their products but if I need to find a replacement for it I will. They test on animals. I have known this for some time and I am annoyed as this is the only foundation that I've found that suits me. I will have to start looking for a replacement for this when it runs out. 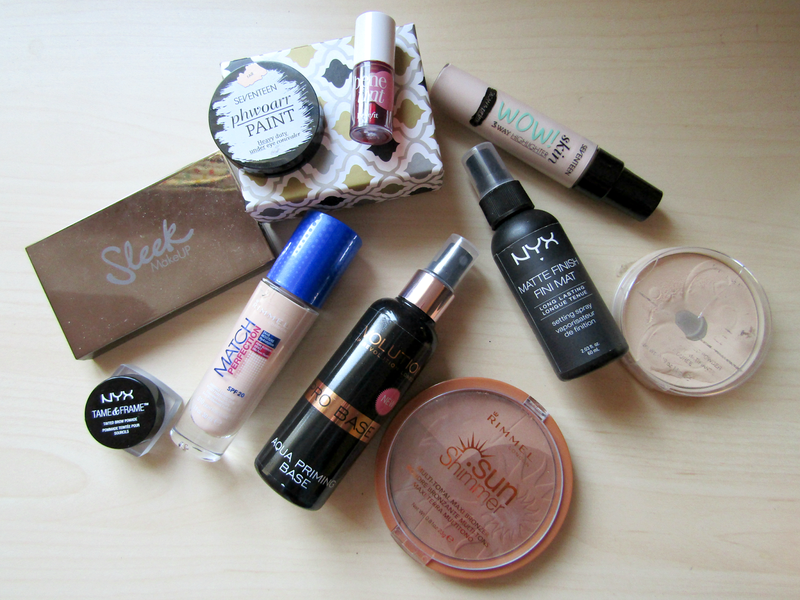 Any suggestions for a pale drugstore foundation, please comment below. Like I said for Skin Wow, I won't be too upset if I have to stop buying from this brand. The same for the Match Perfection. I think it will be easy enough to find a pressed powder. Oh Benefit, why do you have to test on animals too! I don't really mind for the Benetint but I really like the Benebalm as it is a much more moisturising Maybelline Baby Lips. Another product from Rimmel, I used to be a huge fan of Rimmel as the products were not expensive and they were good quality. I'm really only trying to use up this bronzer anyways as I've had it for 2 years. NYX are cruelty-free! But it is to be noted that their parent company, L'Oreal, isn't. My stance on the whole parent company thing is that I'm still going to buy from the company as long as they stay cruelty-free. I love using this setting spray to set my makeup and I feel like this has been my 3rd or 4th bottle of it. Sleek is also on the Pending List. I love Sleek, I think their makeup especially their lipsticks and highlighting palettes are beautiful and I really hope they are cruelty-free. Thankfully Too Faced is cruelty-free as I am in love with the eyeshadow palette. 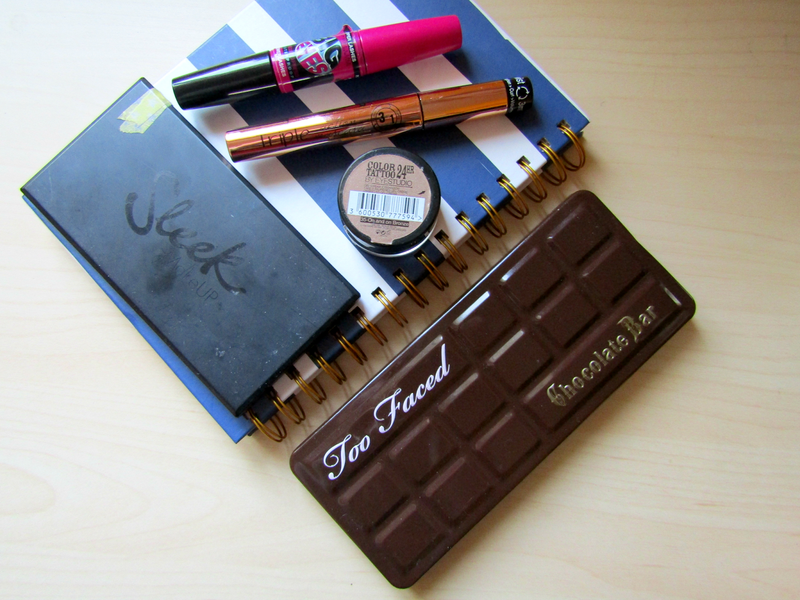 It has pretty and pigmented eyeshadows that smell like chocolate, what more do you want! It has to be noted that they are owned by Estee Lauder who tests on animals. I am fine with this as I am supporting a company that doesn't test. 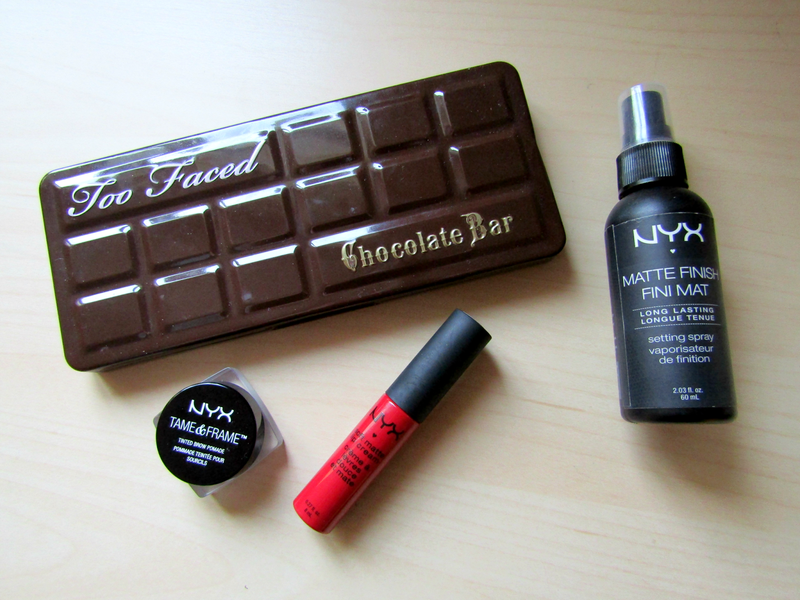 I love this as a base and I know I'll have to find a replacement as Maybelline is in the Brands To Avoid list. I have had this for 2 + years and I still enjoy using it as a simple wash of colour or as a base. Please leave any suggestions for cruelty free cream eyeshadow below as I have no idea where to start. Before I got my Too Faced palette, this was my go to palette mainly because it was my only decent one. Like I said for the Highlighting palette, Sleek is on the Pending List. I love this mascara! It does what normally three mascaras would do and also I wouldn't end up with spider lashes. Flormar are on the Pending List, I hope they are cruelty-free as I would love to try out more products from them as their mascara is so good and there's a foundation that is in my shade that I want to try out. Maybelline test on animals, so I won't be repurchasing this mascara. I didn't really like this mascara or any mascara I have tried from Maybelline. I really like using the lower lash brush if I want to wear a little mascara or to apply mascara to my lower lashes as the Flormar one doesn't apply very well on lower lashes. This was one of the first lipsticks that I have ever bought that I still wear! Unfortunately, Revlon is in the Brands To Avoid List. 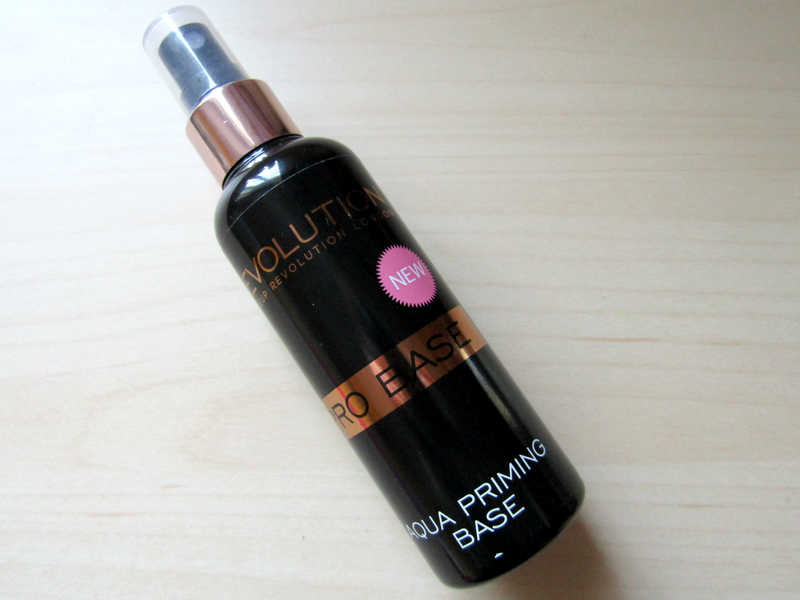 This is the only product I have from them as I never went over to the stall in Boots. I really love this shade and I'll just have to find an alternative. Flormar is in the Pending List. I love this lip balm as it smells like watermelon, has a sheer colour to it and feels moisturising. 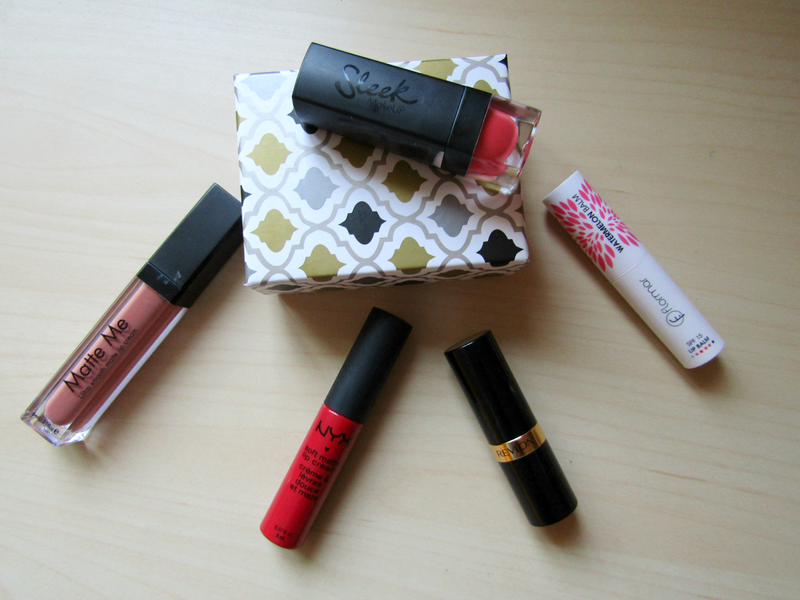 This is my favourite red lipstick I have and it doesn't dry my lips out either. NYX is a cruelty-free brand but its parent company is not. This lipstick is for the days when I want to have a vibrant lip. I have been wearing it more now since it is Spring. Sleek is on the Pending List. This is a cult classic and I see why, I love wearing it and it is very pretty. 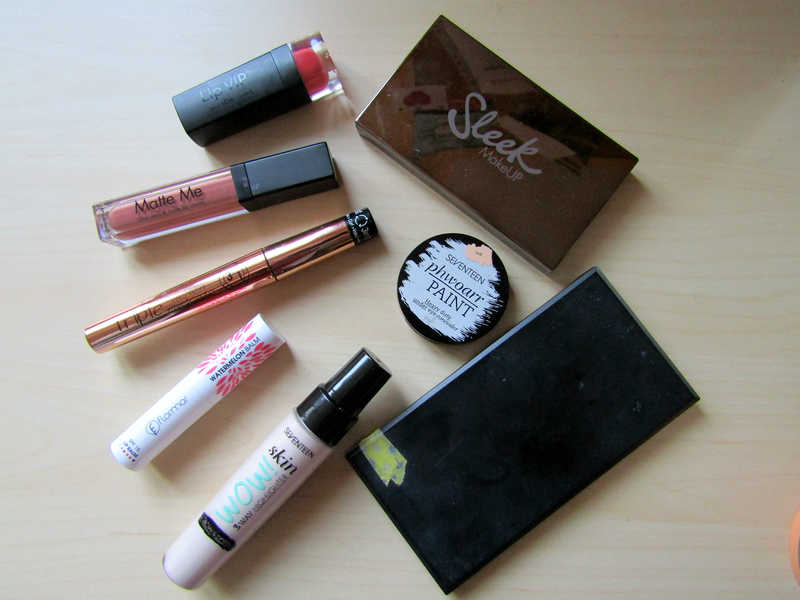 Sleek is on the Pending List and I just hope that they are cruelty-free. Out of all my makeup 20 products, 4 are cruelty-free, 8 are pending, 1 is in a grey area and 7 are tested on animals. I thought I would get proper answers that a product could be one or the other and I was surprised when nearly half of them are pending or in a grey area. I will update this when I find out what happens to the pending brands. If you know any good cruelty-free products to replace my tested ones please let me know. Have you done or will you do How Cruel Is My Makeup Bag? I really enjoyed this blog post, Ró! Do you have any posts on the Too Faced eyeshadow palette? I was thinking about purchasing it for prom. Thanks for commenting Guilianna! I don't have a review on it but a mention it this post: http://totallyro.blogspot.ie/2016/06/the-april-and-may-edition.html It is such a nice neutrals palette. Thanks for commenting Kate! It is such an interesting thing to do and also see what people have in their makeup bags.